Make My Cake Is Heavenly. If Only I Could Bottle That Smell… . As you doubtless already know, scent is incredibly powerful, especially when memory is involved. Few things can whisk you back to your childhood or internal “happy place” like the smell of something that you have a love for. In my life, there are two food-related smells that I have had the pleasure of encountering that, if I could, I would bottle and live with. I mean, if I could, I would have rooms in my home smell of these smells. Then, good luck leaving them. The first one took place here. Just drink it in. If you could only smell it. What you’re looking at above is a cheese vault in Parma, Italy. I am not kidding when I use that language. There are bars on the windows, the place is padlocked and shuttered. It’s a vault, and it needs to be: Each one of those massive wheels of cheese is worth hundreds of Euros. You can see how high the racks go, and can well imagine how deep. Banks lend against that inventory – no joke. The smell in that vault smells damn close to paradise. I mean, Nirvana. That warm, Parmesan smell. To this day, I can still remember that smell. I miss it the way you might miss your big ex, the one you never quite fully get over, even though you’ve moved on. 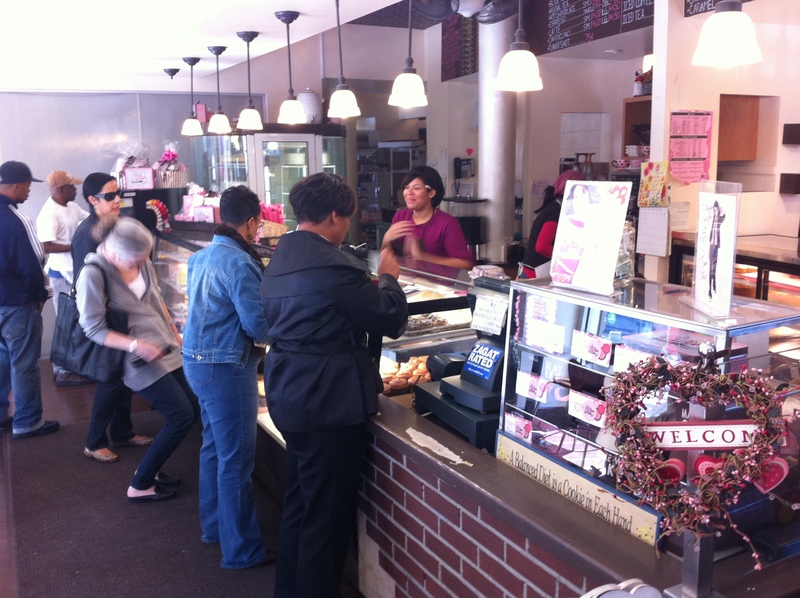 Lining up for goodness… . The second one is, as a New Yorker, much more easy achieve. No international flights are required. 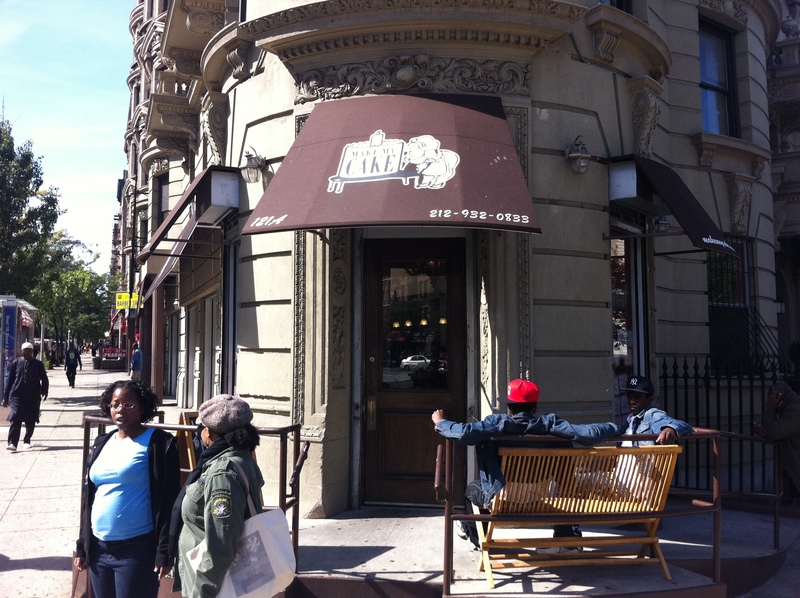 Only a visit to Harlem, and stepping into the wonderful Make My Cake. The smell there, hoo-boy, is heavenly. 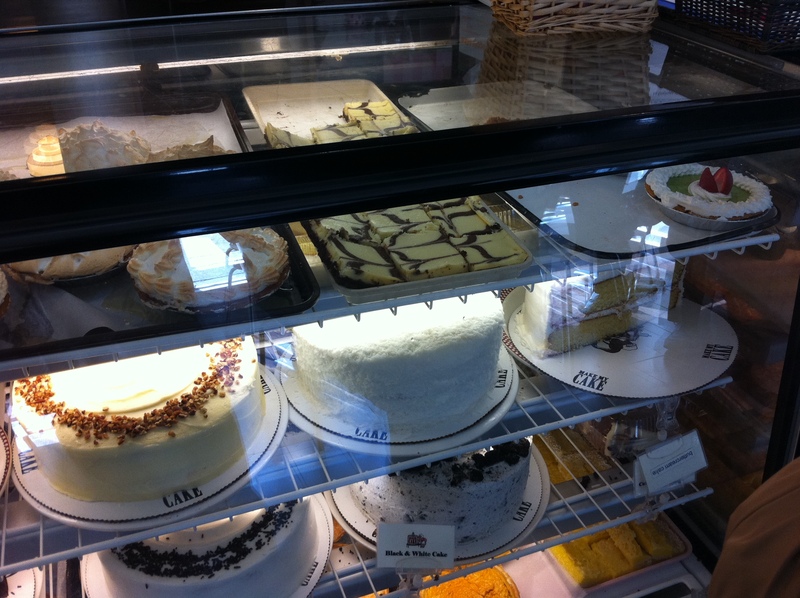 For those of you who don’t know, Make My Cake is a pair of amazing bakeries. I can’t sing praise for their vanilla-vanilla confections loudly enough. They smell of love, and butter. 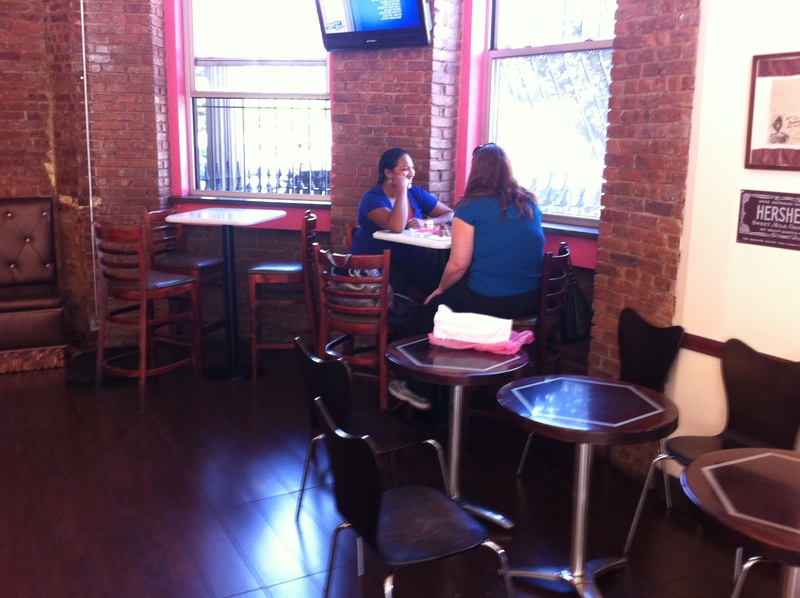 The cafe at 116th and St. Nicholas has a welcoming, cozy feel. There’s a small seating area, good music, and that smell. I’ll give you one guess what Make My Cake makes. Guess what, you’re right. Cake. 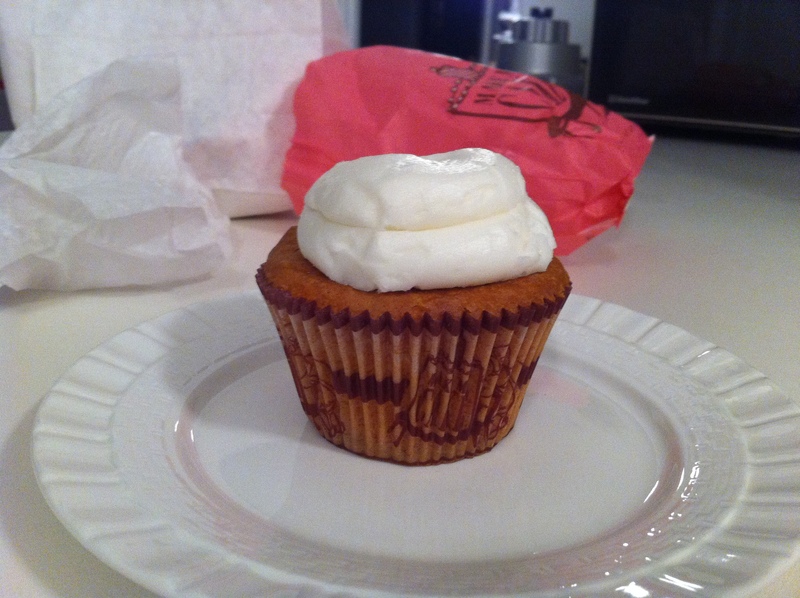 And its subsidiary, cupcakes. The most delicious, fresh, moist, buttery, amazing cakes. They are just sensational. Best of all, at Make My Cake, you can get that smell to go. Allow me to explain. Once, my wife purchased a Make My Cake for my birthday. However, the surprise of it was given away: I could smell the cake through the refrigerator door. That is no exaggeration. For the days it took the pair of us to eat that cake, our kitchen was permeated with that “love and butter” smell. Ever since then, we’ve gone to increasingly elaborate methods of hiding the cakes from each other if we want to surprise the other with ’em. To the extent where we will stash ’em in a friend or relative’s apartment. A simple dollop of frosting on top. At any rate, I can’t say enough about Make My Cake. I am a huge fan, and think their vanilla-vanilla cakes are delicious. As I mentioned, the cake is moist, buttery and delicious, the frosting is melt-your-teeth sugary but as rich as it is sweet. They are terrific. Go get one. 2380 Adam Clayton Powell Blvd.